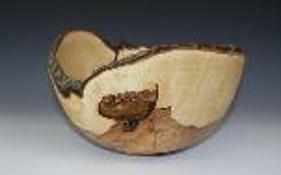 Below is a representative sample of his inventory, which includes a wide variety of high quality, handmade in America woodturned bowls for display and daily use. 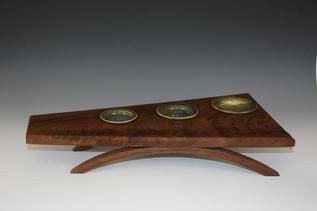 Looking for the special gift for a loved one or the perfect piece for your home or collection? Contact us for more information about commissioning a special work of art. You are invited to preview my work in person at an upcoming show. Visit his Calendar of Events for more information. Display only art is identified, and all other bowls shown are sealed with FDA-approved oil finish and with proper care can be used every day.